I use my trusty Blendtec blender at least twice a day, so it really gets a workout. Here’s the easy way to keep your blender clean. Just add a couple of drops of liquid dish detergent to it and fill it up halfway with water. Turn the blender on for a minute or so, and Viola! A clean blender without having to put it in the dishwasher (which is actually not recommended). 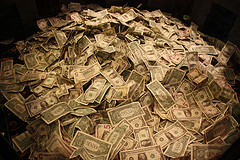 Tidy Home Equals Tidy Finances! She goes on in the article to give good advice for launching an invigorating spring cleaning of your documents, files, etc. Just another example of the joy of organization…and an unexpected benefit. Get a water filter. More than 700 chemicals have been identified in drinking water. No shoes in the house! Most of the dirt, pesticides and lead come into the home on your shoes. Go barefoot or wear slippers, and place good floor mats at the entrances to wipe your shoes. Keep the air clean. 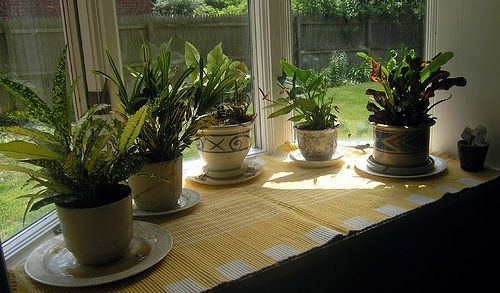 Use green plants as natural air detoxifiers. Keep windows open as much as possible to ventilate. Have your air ducts and vents cleaned with non-toxic cleaners. Remove odors with baking soda. Put out fresh flowers or vases of fresh mint, basil or sage to add a pleasant fragrance. Switch from the standard household cleaning products to cleaner and greener ones (or just call an Atlanta maid service like Sponge & Sparkle that uses green cleaners!). These do not damage your health or the environment and work as well as their toxic cousins. You can also use basic ingredients you have around the house – vinegar or tea tree oil in place of bleach, baking soda instead of Comet, and hydrogen peroxide to remove stains. Use plastics wisely. Many plastics contain Bisheno L A (BPA) which has been linked to cancer and endocrine//developmental problems. Avoid plastic food packaging whenever you can. Don’t wrap food in plastic. Don’t microwave food in plastic containers. Choose baby bottles made from glass or BPA-free plastic and avoid vinyl teethers for your baby. Can your home make you sick? Unfortunately, the answer is yes. 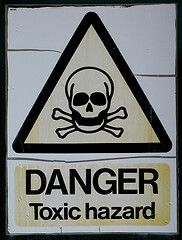 Many of the modern conveniences we’ve become accustomed to may contain harmful toxins. Avoid stain guard clothing, furniture and carpets due to the presence of perflourinated chemicals (PFCs) which have been linked to cancer. Replace toxic lawn and garden pesticides and herbicides with natural ones. Avoid non-stick pans and bakeware. Teflon also contains PFCs. Keep house dust to a minimum – more dust means more toxins. Mop all surfaces at least once a week and use a vacuum (preferably with HEPA filter) for the carpets. Avoid excess moisture as it encourages the growth of mold and mildew. In the bathrooms run the vent fan or open the window regularly. Tea tree oil mixed in a water solution is great for control and prevention of mildew. Get a filter for the shower head as many of the contaminants in tap water become gases at room temperature. A shower filter can keep these gases from becoming airborne.